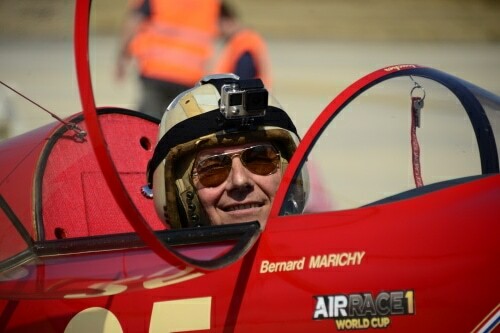 Bernard was an aircraft mechanic in the French Air Force and now works as a mechanic for the Airbus Flight Test Center. He has been racing for over ten years and competed in the first Air Race 1 event in 2014 held at the Lleida-Alguaire Airport. He is also an active entertainer in air shows, whether as a stand-alone display or with the other APAF pilots to demonstrate pylon air racing.